After carving the sassafras tripping paddle for my elder son this summer, little brother kept asking if he was getting a paddle too. This became an opportunity to salvage a ruined paddle that had warped horribly during a decoration attempt to scorch the surface with a torch. 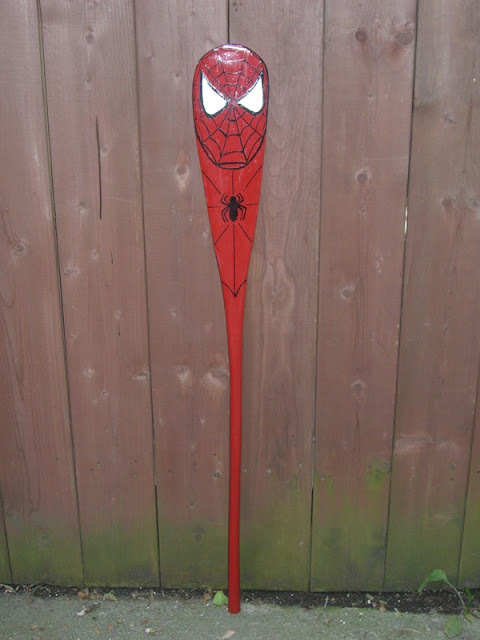 There was no way to completely eliminate the severe warping, but the paddle was reshaped into a functional design for an unwary three year old. 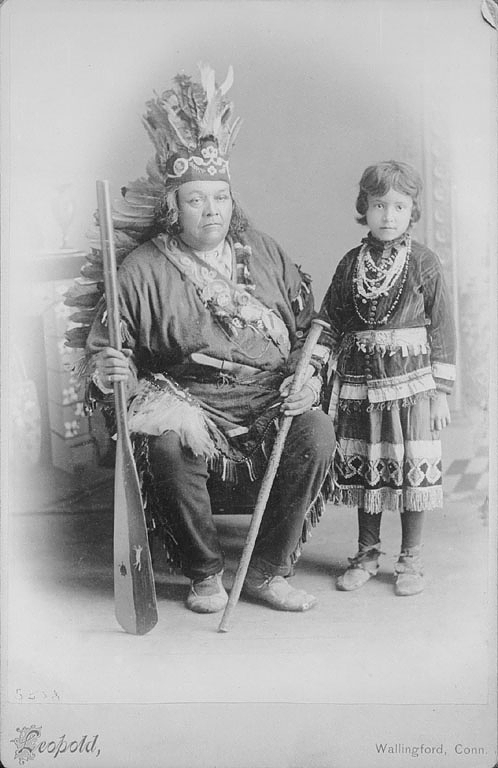 As inspiration, I aimed to replicate the shape of a circa 1891 ceremonial paddle documented in the following Smithsonian photo. 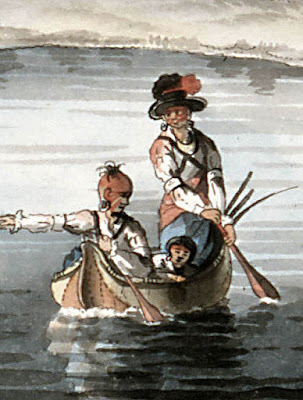 The dual tone motif has also been seen in other historic photos featuring Iroquois paddlers, like in the the work of James Peachey. Luckily I still had some of the Regal Red rust paint used to refurbish the 14' Chesnut canoe. It isn't a true match to the faded ochre red in the painting but it would do. The plan was to copy this dual tone motif along with some some black paint. 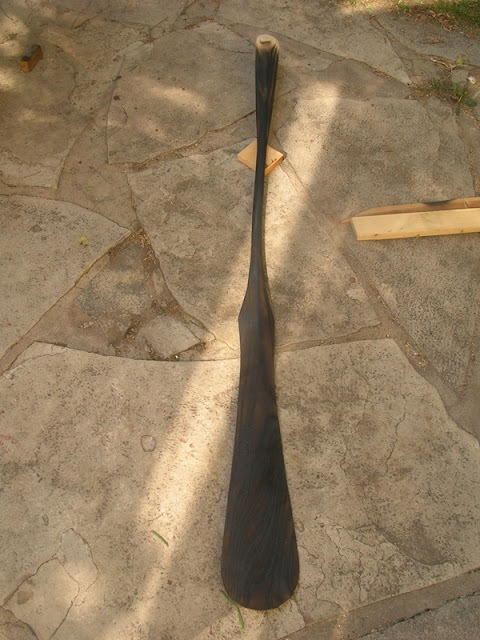 First, the 58" full-sized paddle was cut down into a miniature-sized 38". The blade was reshaped into a smaller beavertail design and the shaft re-cut and shaved down to a thinner 3/4" diameter. Like the ceremonial paddle, it has a simple pole style grip which will work for him since he knows nothing of correction strokes just yet. Of course this paddle wasn't really meant for me and my historical obsession. So as a treat for my little guy, I did my best to paint his current hero, Spiderman, on the other side of the blade. There's still a discernible warp near the neck of the blade, but hopefully this will be be some incentive to get him out in the canoe next season. That is awesome Murat!! Happy kids happy life! !